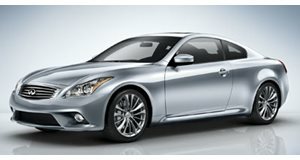 The G Coupe is essentially a luxury version of the Nissan 370Z, a competitor to such sporty German cars as the Audi S5, just not as good. Sure, it offers slightly more power than the S5, and it really drives quite well, but with an interior littered with Nissan parts, it’s difficult to justify the price bump over the 370Z. The exterior styling isn’t exactly bold either, so long as we’re complaining. The G Coupe isn’t a bad car, it’s just an irrelevant one. If you want a 370Z, buy one, and if you prefer the S5, then buy one of those, there just isn’t any point in splitting the difference.